The Govt. policy on Industrial development as well as on credit facilities were mainly focused on manufacturing units in the small scale sector . And in the past decades the lowering of trade barriers across the globe has increased the minimum viable scale of enterprises. The size of the unit and the technology employed for various firms to be globally competitive at present is also of a higher order . Hence, in keeping with the global practice the Central Government through an Act of the Parliament introduced a new system brining about a paradigm shift from tiny/cottage, small scale & medium industry to Micro, Small & Medium Enterprises (MSME). This change in nomenclature of MSME gives rise to recognition of services and trade sectors. Accordingly, the system of provisional and permanent registration has been replaced by filing of Entrepreneur’s Memorandum (EM Part-I & Part-II) respectively and the new system has been already introduced in the Department. The Govt. 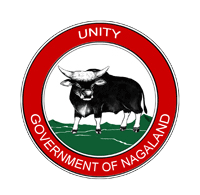 of Nagaland with the recommendation from the Ministry of Micro, Small and Medium Enterprises and in consultation with the Ministry of DONER has constituted a Task force on Micro, Small and Medium Enterprises (MSME) to develop synergies among the various schemes of different Departments/Organizations to spread the benefit on a wider scale. 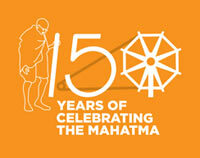 The task force consists of the Chief Secretary as Chairman, Secretary, (Industries & Commerce Dept.) as Member Secretary, Director of Industries & Commerce as Member . The Government of Nagaland has constituted the Nagaland Micro, Small and Medium Enterprises Facilitation Council (MSFEC) under the Micro, Small and Medium Enterprises Development Act,2006 (27 of 2006) for facilitating the promotion, development and enhancing the competiveness of Micro, Small and Medium Enterprises in respect of the rules which have come into force w.e.f 22 March 2007. This Council is headed by the Director of Industries & Commerce as the Chairman.